Podcasts are and the incredibly popular way to learn. Using audio has become one of the fastest growing methods of learning a new language. For languages like French, learning in dead time is becoming more and more valuable as we have less and less time in our daily routines. Using podcasts, audio clips, videos is becoming the go-to solution for most learning, think of the last time you wanted to get something done, you most likely turned to something like YouTube or even a podcast or audio-bite to help you accomplish your task. For French, there are hundreds of useful podcasts for those looking to boost their French language learning, some advanced and some basic to help you power through your learning. There are two types of podcasts that you can benefit from. The first is teaching you the language, the main podcasts for language learning include segments of speaking but cover a topic or a course. The second element is listening to the native-speaking radio or even podcasts to help build your speaking skills to help master your French. The benefits to using podcasts are countless. For French, many people avoid these forms of learning and solely stick with textbooks, but there is an exciting element about using this listening technique to provide you with more. Podcasts can bring you a layer of learning that many won’t intuitively think about. We’d like to recommend a few French language podcasts, some of the ones that have floated around our office as popular recommendations for learners looking to conquer French. These French podcasts can be consumed anywhere, in the office, at home, on the commute or even on the plane heading to France, they will all provide you with a free opportunity to dive into the French language. One of the leading French Podcasts is Coffee Break French. The team at RadioLingua have made an incredibly well put together podcast with the use of interview-style conversations. 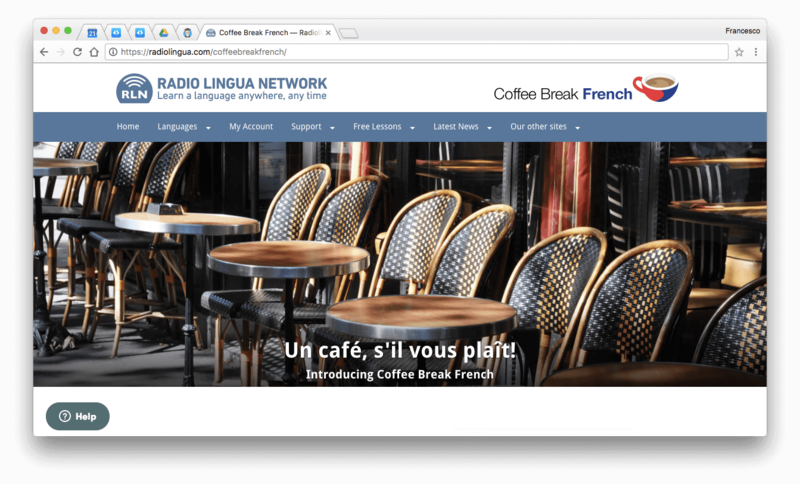 Coffee Break French brings together linguists with English speakers to help contextual conversations, provide accent insight and provide useful phrases for the situations you’ll need to take control of. 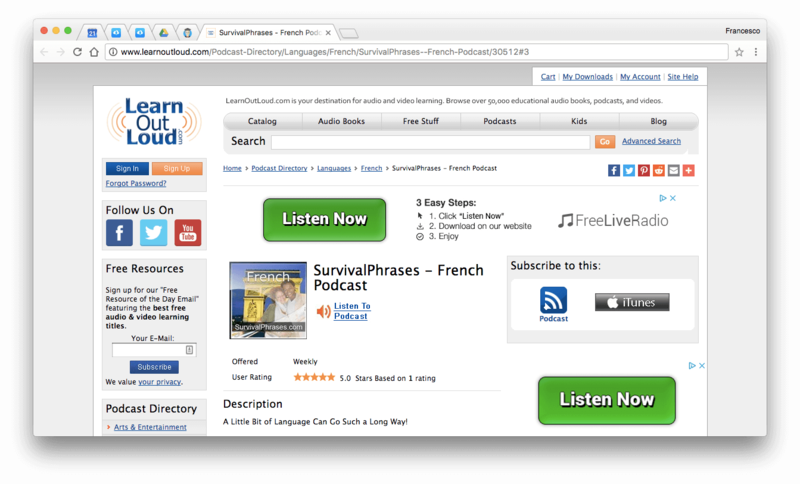 Perfect for travel, Learn Out Loud throws you into survival like the situation with easy to follow podcasts. For travelers, this is perfect! All of those phrases you need to speak to natives or order coffee shops are covered. A favorite of those who are looking for that quick dose of learning before a vacation. A well-crafted French podcast perfect for beginners. 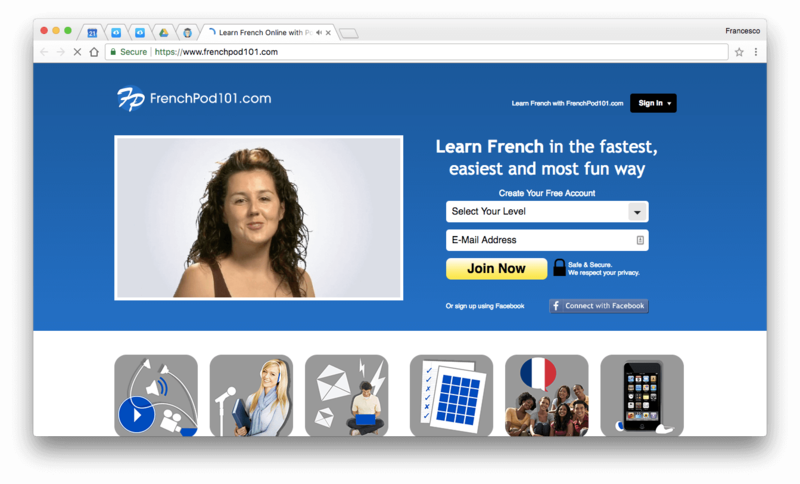 FrenchPod 101 delivers an all-around experience, FrenchPod combines PDF, over 1,000 audio lessons, detailed videos and much more. Although, it’s a paid experience, FrenchPod delivers. FrenchPod101 also has a YouTube channel all about French language learning, that adds another layer to this already strong podcast. From the creators of Coffee Break French, comes One Minute French. This is a condensed recommendation but packs a lot of value when you’re looking to get started. The short one-minute sessions mean less time worrying and more time doing, great for commutes and the train home. These recommendations should be great for getting started! Naturally, we can’t solely use Podcasts, it would be great. We need to approach language learning from a host of angles. Using forms of learning like speaking, writing, listening and more will help you to build a better picture of your language learning. Try using books, 1:1 conversations with natives, apps like FlashAcademy, flashcards or Post-it Notes as a way to excel your practice past just podcasts.French is one of the most beautiful languages to master, and once you do, there is an inherent respect for linguists that you’ll be able to hold on your shoulders. Let us know in the comments some of your favorite French podcasts that have been beneficial to your language learning, we’d love to hear all of your recommendations too, and even a few tales about how you managed to master your French.